There are two kinds of salesmen: One who sells like crazy and one who sells with a focus on the customer. Propane industry leaders say Thomas Nunan Jr. had both of these characteristics as a propane salesman. Many in the propane industry describe Nunan as stimulating, energetic and confident. These characteristics helped to make him an outstanding propane salesman. During his career, Nunan contributed his time to the National Propane Gas Association (NPGA), the Propane Education & Research Council (PERC), the Young Gassers association and the Ancient Gassers group. With NPGA and PERC, Nunan boldly shared his opinions and expertise at meetings. Alexander says it was because of Nunan that Suburban Propane remained involved with NPGA in the late 1990s. He adds that Nunan was instrumental to PERC as one of its first members, taking part in some of the council’s earliest decisions. In fact, Nunan helped to develop PERC’s original grant review process. Nunan did not go to school with the intention of pursuing a sales career. He attended the University of Kentucky and received a bachelor’s degree in management. Within a few days of graduation, though, Nunan entered the propane industry as a salesman for Protane Corp.’s Louisville, Ky., location. Nunan and Billie were married only a couple of months after he began work with Protane Corp. Because Nunan was an earnest salesman, the Nunan family moved often, as he received promotions and new positions. Throughout Nunan’s career, Billie says, the family lived in Ohio, Kentucky, Indiana, Tennessee and Florida, and it ended up in California in the latter years of his career. Nunan stayed with Protane Corp. until 1965 when, Billie says, Union Texas hired him to sell propane with Green’s Fuel in Sarasota, Fla.
Bob Myers, then the director of sales for Petrolane, noticed Nunan’s sales efforts when he was working for Green’s Fuel. He read about one of Nunan’s sales programs in a trade publication and determined Nunan could be a valuable salesman for Petrolane. Myers spoke with Nunan a couple of times in the early 1970s to see if he had an interest in joining Petrolane’s sales team. Eventually, Myers convinced Nunan to join him at Petrolane. Nunan created a national sales program for Petrolane to grow its gallons and sales through new business rather than acquisitions. Through Nunan’s program, Petrolane had specialized salesmen in 18 regions. Myers says those regions had salesmen dedicated to covering specific markets, such as industrial, residential, commercial and autogas. Those salesmen reported business to six area sales managers, and those area sales managers reported business to Nunan. During his time at Petrolane, Nunan formed hundreds of sales programs. His efforts to advance Petrolane’s sales force paid off, as Myers believes all of his programs were successful. As Nunan advanced in his career at Petrolane, Quantum Chemical, then Suburban Propane’s parent company, purchased the California-based retailer in 1989. Despite the acquisition, Nunan remained with the company and became vice president of sales for Suburban. Suburban Propane faced a number of big decisions between 1996 and 1997. It was during those years that the retailer went public on the stock market. Almost the entire management team changed, and Suburban made decisions regarding its involvement with NPGA and PERC. Nunan and Alexander spearheaded many of those changes together. Alexander became CEO of Suburban Propane as these decisions were being made. “When I started at Suburban Propane on Feb. 29, 1996, it was the same day the company went public,” Alexander says, offering perspective. 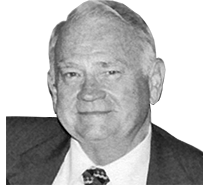 Nunan had a couple of decades of service to the propane industry at this point, so he supported and advised Alexander through the tough decisions. In addition to Suburban Propane going public, Alexander decided to restructure its 17-member management team– with the exception of himself as CEO and Nunan as vice president of sales. Alexander says the company was “too top-heavy, overloaded with administration and almost inefficient with business” when he became CEO. These factors affected the company’s customer service. Alexander and Nunan also debated in 1996 whether it was wise for the master limited partnership (MLP) to be a part of NPGA and PERC. Alexander says he couldn’t see the value in either of the associations. Nunan, however, was a staunch supporter for Suburban Propane remaining involved with the organizations. He was convinced the company needed to play an active role in NPGA and PERC. Nunan and Billie worked throughout that year to show Alexander the value of being part of a national industry association. As the three of them traveled to NPGA and PERC meetings, Alexander saw the value in keeping Suburban involved. Alexander says it was ironic that although he was CEO of a multi-billion dollar company, Nunan acted more like his mentor. Through Alexander’s first couple of years as CEO of Suburban, Nunan served as an example for him. Nunan also introduced Alexander to other leaders in the propane industry at the time, including Charlie Revere, Glenn Miller and Doug Auxier, who gave Alexander a variety of perspectives on industry leadership. Alexander says it was through those industry relationships and Nunan’s guiding hand that he took the reins as Suburban’s CEO. Nunan retired from the propane industry in 1999. Because propane was Nunan’s life, Billie was worried about what he would do in retirement. However, Billie’s fears were proved wrong, as Nunan kept busy in retirement. Nunan focused his time on volunteer efforts in their Oceanside, Calif., community. Nunan didn’t forget the propane industry in his retirement, either. He continued as a consultant, and he and Billie attended industry shows and events up until his death in 2013.